Today I went to Earls for a colleagues’ going away lunch. I had previously tried to go to Earls and eat and was completely unsuccessful. Now, it appears they have a better overall understanding of gluten free eating and needs, but then again it is still limited and in my opinion in need of some work. They presented me with an “Earls Gluten Aware Menu” (that is actually what they called it) and the choices were limited, but at least there were a few. They had a couple of snacks/sharing items, a couple of salad choices and a couple of chicken choices and a few more steak choices. I ordered the Cajun Blackened Chicken. It was delicious! It came with warm fingerling potato salad and coleslaw, both of which were also delicious! 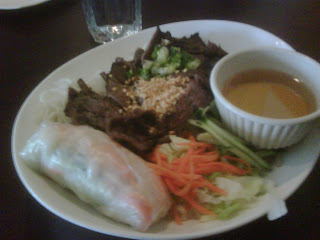 The presentation on the plate was lovely as well. 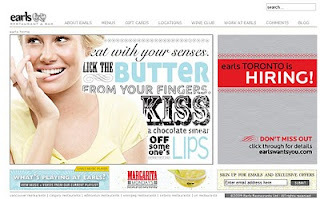 While the service was great and the staff seemed to know what I was talking about I still had a few issues with Earls in general with their knowledge of gluten free eating. Please keep in mind that this is merely my opinion. This means that essentially these so-called gluten free meal options (e.g., Cedar Planked Salmon) are only gluten free because they are served completely plain. Why would I want to order a salad that has a special dressing and candied nuts on it, but leave those particular items off and have it with ranch or something? Or have plain salmon when my friend gets to have it with a maple glaze sauce that is loaded with flavor. No thank you. Seriously?! This may have been done by head office as a way of ensuring they’re covered if something horrible happens to someone, but it bothers me when people don’t understand that celiac disease and allergy are two different things altogether. 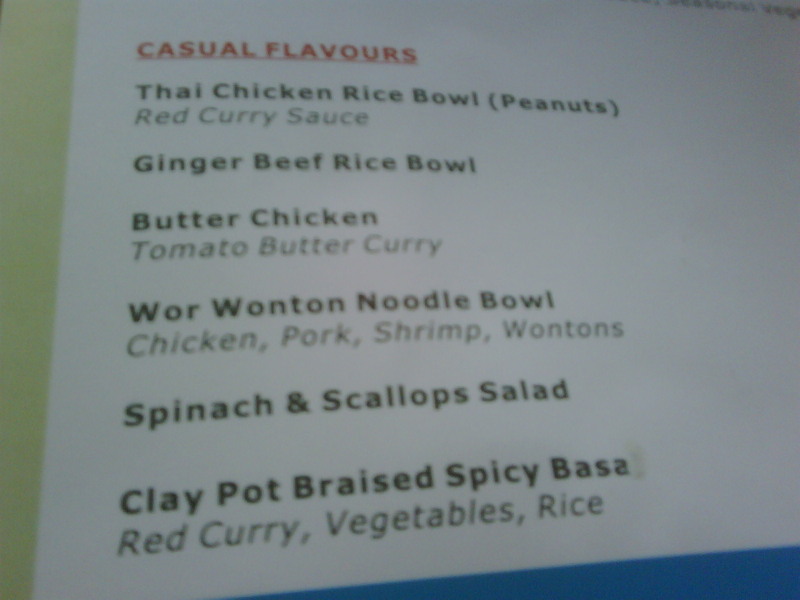 That leads me to believe that those who created this menu have no idea what they are talking about. I could be wrong and I hope others have had different or better experiences, but I can say that of all the restaurants available I would not rush to Earls when looking for gluten free options. Does anyone have something else to add about Earl's? Let us know! 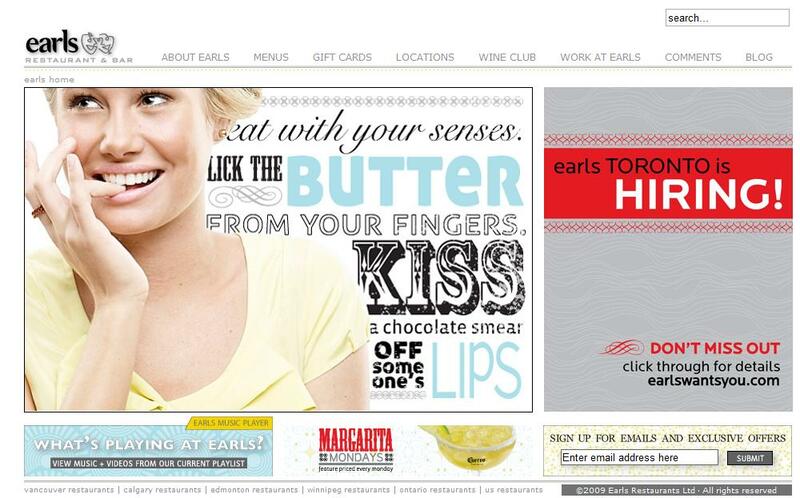 We hope to hear that Earls continues to improve their gluten free meal options. 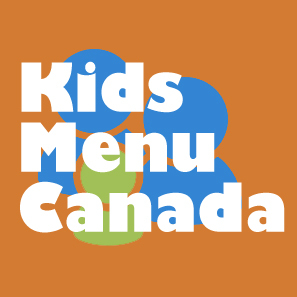 This past Saturday (July 24) was the annual gluten free pancake breakfast hosted by Kinnikinnick and the Canadian Celiac Association - Edmonton Chapter. I had been looking forward to this breakfast for a very long time because this was going to be our first Kinnikinnick pancake breakfast. After dropping our dog Cookie off at Puppy Love for a buzz cut, I made my way down to Kinnikinnick where my wife and my in-laws were going to meet me. Boy were we in for a treat! There were tables lined up on the front lawn at Kinnikinnick and when we arrived, they were filling up quickly. What a great turn out! The tables were full, the grills were pumping out hot pancakes and sausages and there were platters of fresh toasted cinnamon rolls and mini muffins...and most importantly, everything was g-free! Sometimes people don't realize just how exciting it is to be able to enjoy a hot breakfast (or anything else) in a restaurant, out at an event or even in your own home....just like everyone else does. A great big thanks to all who attended and to the wonderful people at Kinnikkinnick for hosting a fantastic gluten free event. 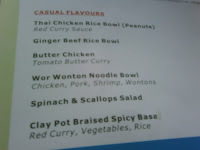 When we arrived at the gala dinner much later in the day I was served my “special meal” as my colleagues referred to it. The salad was fantastic. 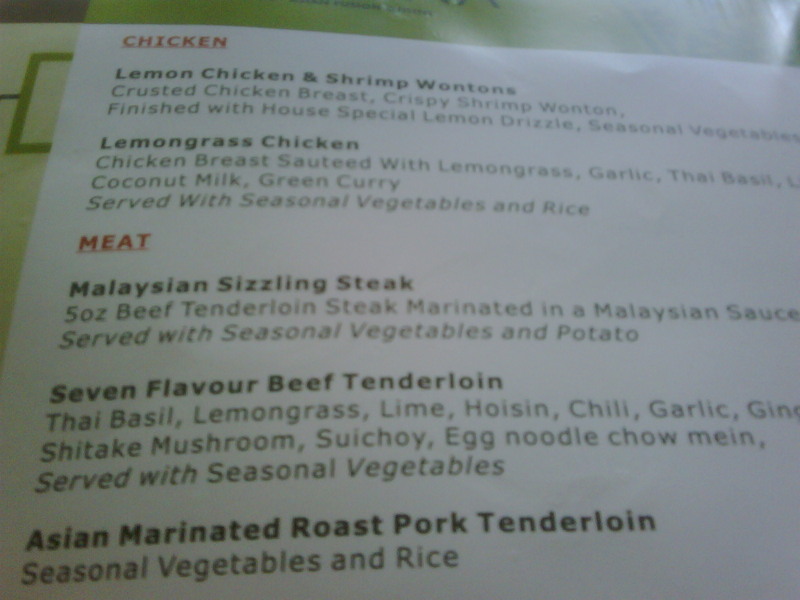 The dressing was made in-house and the server was prepared with the ingredients list when serving it to me. The chicken with mango salsa was lacking in flavor. I was still pleased that they had gone to such lengths to ensure my health and safety, particularly in such a large gathering of people (over 250). I was disappointed that the chicken was very overcooked and completely void of flavor, but I think it was because the buffet was so elaborate and time consuming that my single meal was an afterthought. As well, sometimes people assume that gluten free must mean tasteless or bland. The créme caramel was so delicious and pretty to look at that one of my colleagues asked the server if she could have one as well. For lunch everyone was given a bag lunch as many people were flying out early and others were going touring the city before flying out. I was overjoyed to see a bright green lunch bag marked “gluten free” just for me. Inside I found a fresh turkey sandwich with lettuce, tomato and mayo and fruit (banana, orange and apple) and I snagged a bag of Lays plain potato chips from someone who didn't want theirs. Who needs three pieces of fruit for lunch? Eeek, not me. While I didn’t eat the “to go” lunch until dinner time, while on the plane, it was still great. 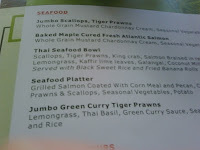 For lunch we went out on the town and explored a local restaurant instead. My colleagues enjoyed their fish and chips while I was able to eat a shrimp and lobster omelet with artichokes and cheese. The omelet arrived with home fries (roasted potatoes) that were made in-house (garnished with salt and pepper) accompanied by a salad with Kraft dressing (in the bottle so I could be certain of the ingredients). 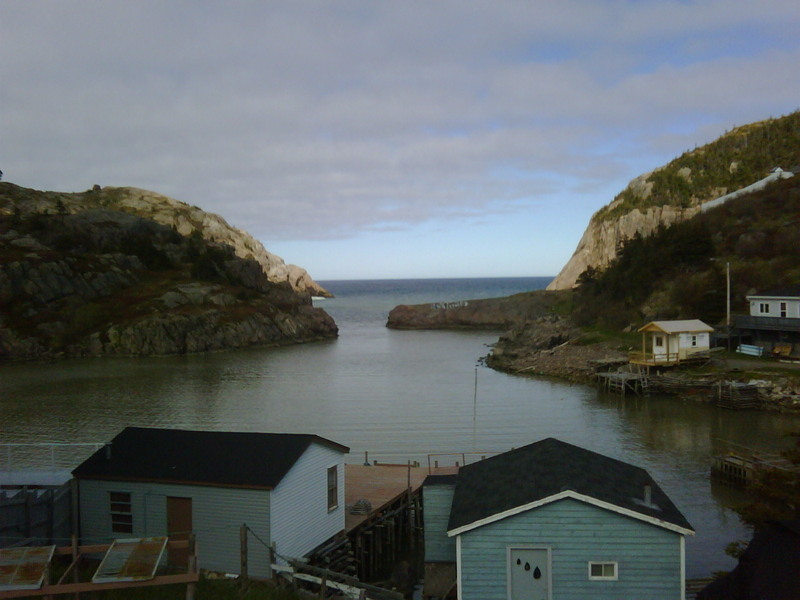 The restaurant was very knowledgeable and helpful and the shrimp and lobster were truly fresh, caught that day – right out of the ocean! Can you tell we live in Alberta? Overall I was very pleased with everything the Sheraton was able to do to accommodate me and I was pleased that I thought to ask in the first place. I had been told by others that in the past they had not asked and instead had eaten fruit and plain salad at these conferences. I didn’t think that was necessary and I am glad I didn’t settle for that. 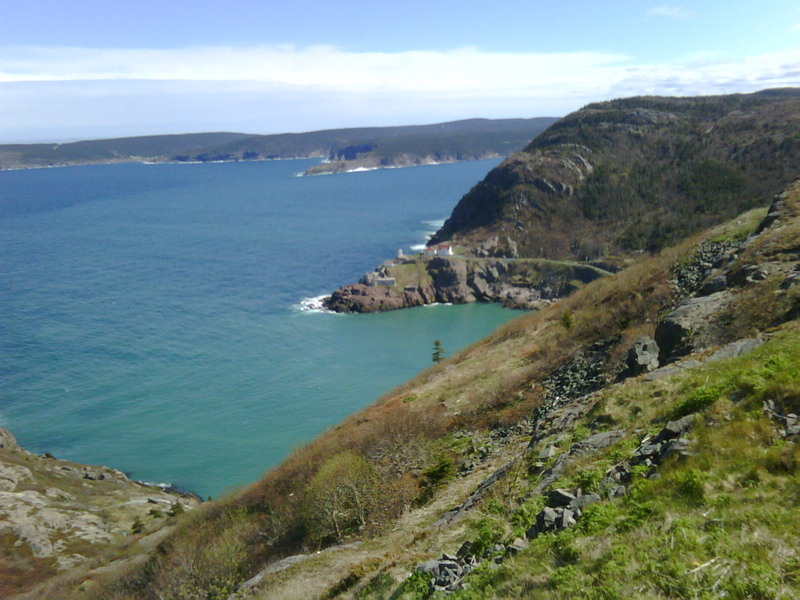 Have more to add about St. John's, Newfoundland? Email us at info@glutenfreeedmonton.com. Edmonton's Italian Centre Shop got its start when Frank Spinelli started selling Italian magazines out of a tiny store in 1959. Since then, the shop has steadily grown – first offering other Italian goods and then an expanding range of imported European products. Now, as a part of the Italian Centre's vast inventory of imported products and local items crafted in the European tradition, customers can find a growing selection of gluten-free products. 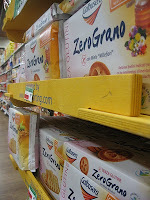 One of the store's widest varieties of gluten-free items is found in the pasta section. There are a number of gluten-free brands and varieties of the quintessential Italian staple – grouped together and clearly marked. 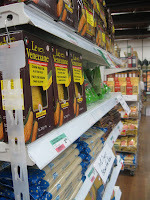 The Le Veneziane brand, imported from Italy, produces pasta using only corn flour and offers spaghetti, tagliatelle nests, penne, eliche (similar to rigatoni), fettuccine and small pastas for soups. Farabella from Fara San Martino in Abruzzo, Italy makes pastas from corn and rice flour and their varieties include tagliatelle nests, lasagna and a variety of short pastas. They also produce a potato gnocchi made with rice flour. Edmonton's Prairie Harvest import organic brown and white rice pasta from the San Zenone region of Italy. Tinkyada. In eastern Canada, Praire Harvest has a dedicated brown rice facility where they manufacture pasta in a variety of shapes also offered at the Italian Centre Shop. 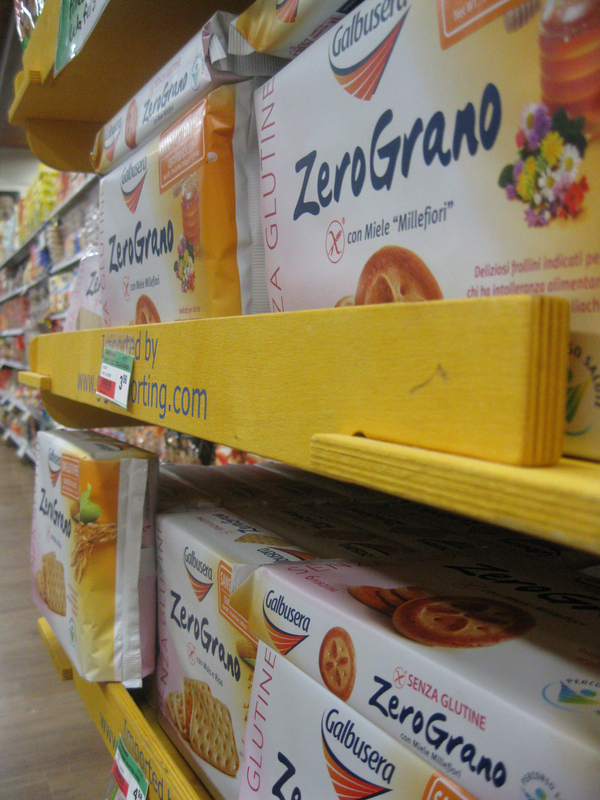 Returning to products imported from Italy, consumers can also find the wholly gluten-free ZeroGrano line of crackers and cookies made by Galbusera. The Italian Centre stocks their corn, potato and rice flour crackers, honey biscuits and chocolate layered wafers. Duinkerken baking products, based in PEI, makes a Vitamin Enriched Rice Flour, a Potato Flour and a Gluten-Free Waffle Mix. La Tortilla Factory makes a gluten-free wrap made with millet and teff, available in the bread section of the store. Finally, behind the Italian Centre's deli counters and in the pre-packaged meat coolers are the Freybe line of salamis, sausages and wieners, which are certified gluten-free. I recently went to a work conference in St. John’s, Newfoundland. It was my first time visiting this beautiful city, but also my first time traveling for work while maintaining a gluten free diet. As many of you already know all to well, traveling while gluten free can be a challenge. Ordinarily I would pre-plan, or at least get an idea of my options by checking out The Celiac Scene http://www.theceliacscene.com/ and I would map out some meal options for myself based on other people’s experiences. Gotta love the internet! 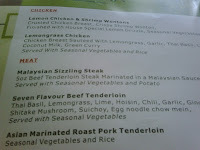 However, in this our meals were being hosted at the hotel for the most part. We were staying at the Sheraton Hotel at Cavendish Square, in St. John’s, Newfoundland. I also be sure to call ahead to notify the planners of my Celiac needs before attending a conference. For the first breakfast the server presented me with poached eggs on toast with fruit. To be honest, I did not eat the meal as I was not convinced that the toast was in fact gluten free. It just looked like regular bread with crusts cut off…good thing I brought along my own food from home for just this situation. For lunch I was given a ham & cheese sandwich on raisin bread that was very obviously gluten free. It was heavy as a brick; no doubt it was gluten free bread. I removed the ham and simply ate a cheese & raisin bread sandwich with olives & pickles. My colleagues were enjoying a hot soup and sandwich (mine looked better if you ask me) and salad and home made potato chips. Right or wrong, I determined that these chips were made fresh in the kitchen and opted to have them with my lunch. I do not know for certain if there was any cross contamination prior to them arriving in our conference room, but I took my chances and felt ok.
Have more gluten free experiences to share from St. John's? 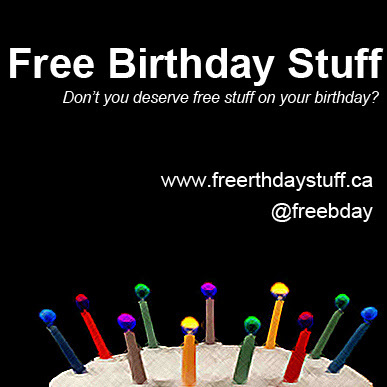 Email us at info@glutenfreeedmonton.com. Unfortunately Gabbana does not have a website to view their menu online, so I took a few pictures. Although there isn't a separate gluten free menu, the staff are friendly and knowledgeable, are able to point out what items are gluten free and what items can be prepared to be gluten free. The menu is not large, but there were options available beyond just a salad! Be sure to always ask about preparations and ingredients in the dish. We first discovered miso sauce at Japanese Village here in Edmonton. Unfortunately the sauce served at Japanese Village is not a gluten free product, so we searched for a sauce to bring to our next visit. We discovered a Naam Miso Gravy that didn't contain gluten at Save-on-Foods at 109 St. and Jasper Avenue. Miso sauce is great on rice and stir fry meats. Try it sometime and let us know what you think. Remember to let us know if you find other miso sauces elsewhere! This gluten free recipe is inspired by a dish we had during pre-Celiac times at Lime restaurant in Toronto. 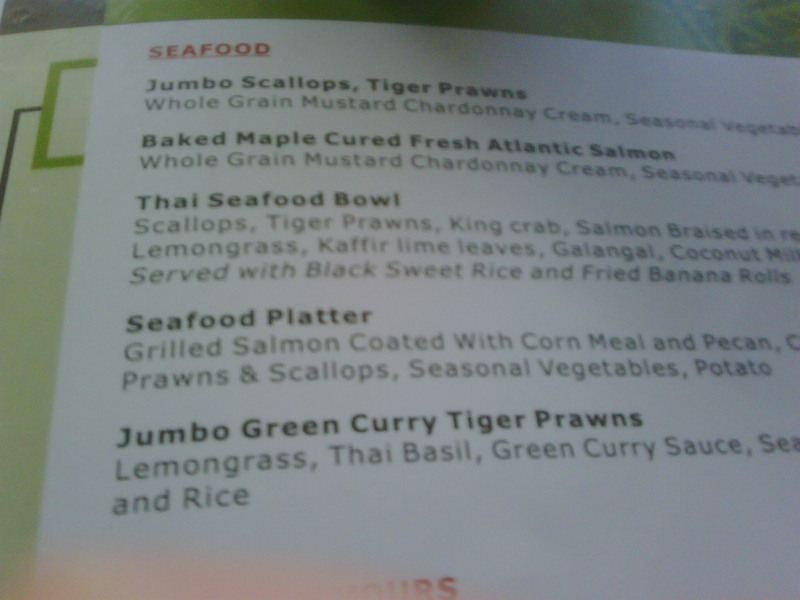 We are no longer able to eat that dish in Toronto because Lime does not use a gluten free soy sauce. We've recreated the dish using gluten free products and love our spin on it. Combine all sauce ingredients in small sauce pan over low heat. While sauce is warming up, begin preparing rice according to package directions. In a wok or large pan, add oil and fry meat over medium heat until no longer pink. Add carrots, and peppers. Cover and let simmer for 5 minutes. Add zucchini and cook for 2 minutes. Add mushrooms and mango and cook for an additional 2 minues. Remove from stove, add sauce and stir. Gluten Free Edmonton - A guide and resource for people with a gluten or wheat allergy. 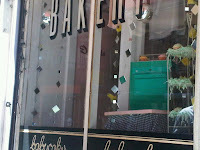 On a day trip from Hartford I ventured to the best GF bakery in Manhattan, Babycakes (http://www.babycakesnyc.com). Located in the lower east side it is easily accessible by subway. 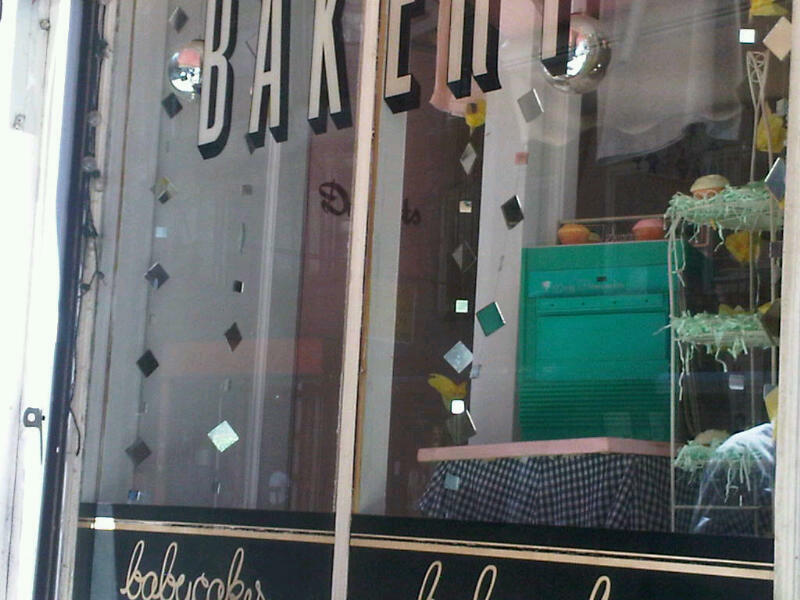 I have dreams about Babycakes and their baked goods. They are gluten free, dairy free, soy free, nut free and kosher! The best part is no one would ever be able to tell the difference. I've taken non GF friends there and they are in awe. If ever in the tri state area, put Babycakes on your must see list. Looking to attend taste of Edmonton and not sure what you gluten free friendly menu options will accommodate your Celiac diet? Fear no more, a read Loni has written in with a great resource link for Taste of Edmonton that lists the Celiac friendly options along with what has peanuts, what contains seafood and which options are vegetarian. Click here for the full menu list indicating Celiac friendly options. As always we recommend to ask questions and read labels. Do you know of other listings for Taste of Edmonton? Email us at info@glutenfreeedmonton.com and we will post any additional resources to help our readers eat safely at Taste of Edmonton.